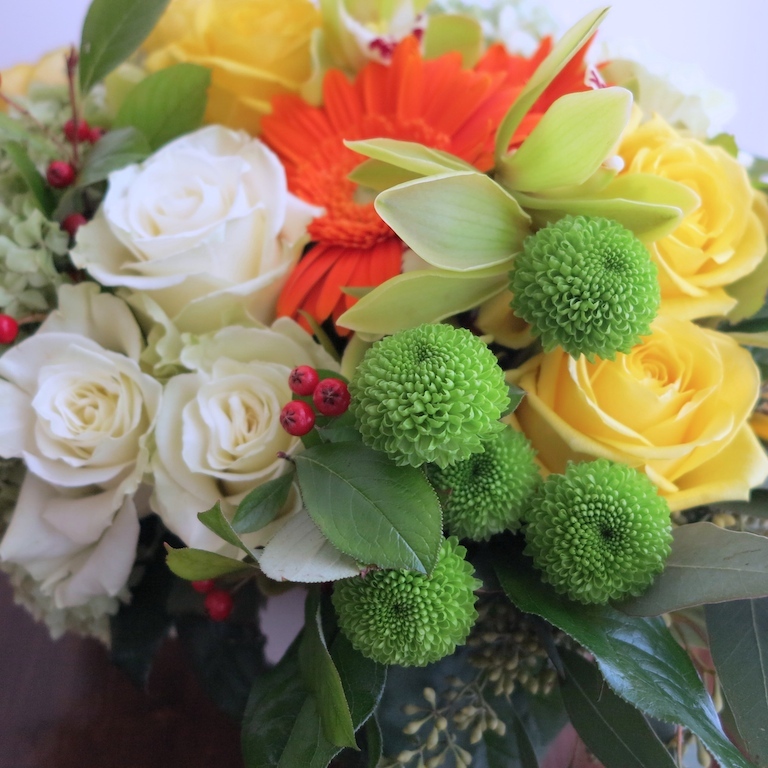 November bouquet of orange gerberas & gourds, red berries, white & yellow roses, green hydrangeas & chartreuse orchids in a vase. Posh autumn gift just a click, tap or call away. 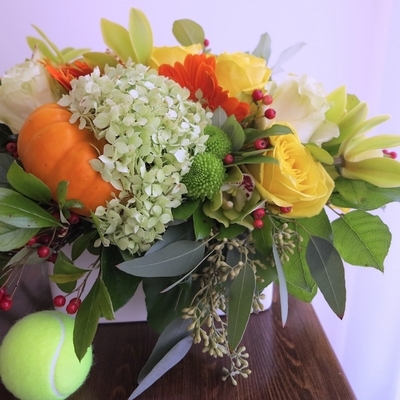 Recommended as Halloween floral gift, Thanksgiving bouquet or Birthday arrangement. Enjoy online shopping at local Toronto florist. If you need any assistance please call us at local flower shop. We offer GTA & downtown Toronto flower delivery.